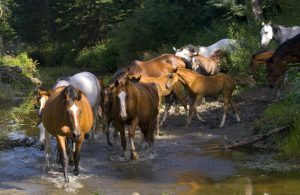 Raised in herds with natural terrain, the Paddle River, forest, hills and pasture, Touchstone horses have the opportunity to grow up as nature intended resulting in strong bones, sound minds and athletic bodies. The natural socialization of the herd is the best preparation for respectful learning in later life. We treat our horses as horses and try to maintain their natural curiosity and happy state of mind. 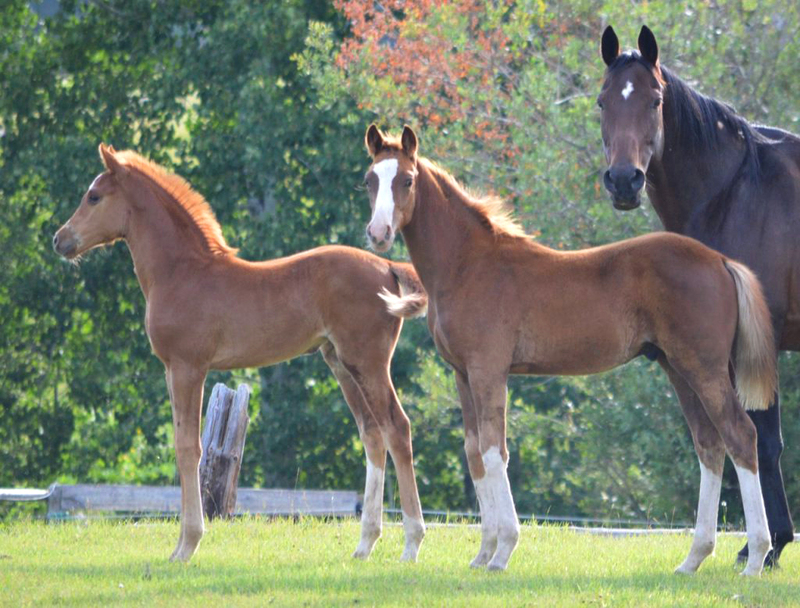 Although performance is the ultimate goal, the greatest testament is happy owners and happy horses. I just wanted to thank you so much for breeding, raising and selling me such a wonderful mare! She has been an absolute dream since I bought her this spring. We won the classic at Caledonia in the .85, got reserve champion in the .90 at Jump for Hope and always places in all her classes at the shows we have been to this year. Just thought you might like to get an update on how she’s doing! I absolutely love her so thank you so much! 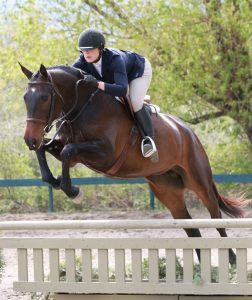 Bellagio, a Canadian Warmblood gelding, is shown here with rider Lorraine Bradbury of Victoria BC at the Southlands Spring Show in BC. Bellagio is competing at PSG /I1 with scores of 69 – 71 %. 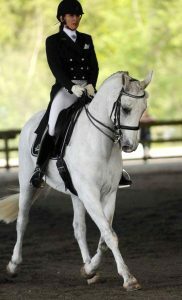 In 2015 he was the Capital City Classic FEI Champion, Reserve Champion of the Southlands Spring Show Small Tour, and winner of the Claire and Telf Maynard Memorial Trophy for highest scoring PSG test at the Southlands Spring Show. 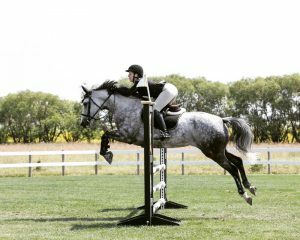 Recently in 2016 he was BC Championship FEI winner and shown in Wellington Florida with top placings under owner Jane Essig. Bostyn was Champion in the Pre-Green Division and in the 3’0″ Children’s Hunters at the Kelowna Spring Classic, April 22nd-26th, shown here with coach Katinka Devrainne. What a great start to the season! Congratulations Shannon and Katinka.